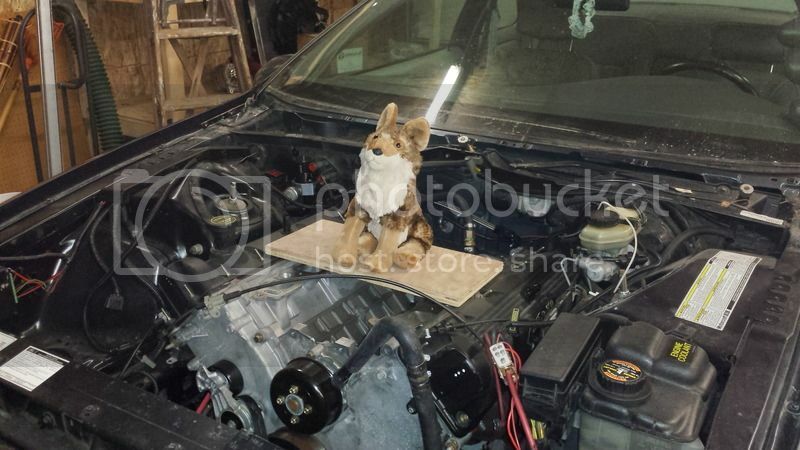 Just did the Coyote 5.0 engine swap! What do you guys think? OxmanWI and germz1986 like this. How do you like it so far? I bet you're driving the stuffing out of it! "Looks cuddly instead of mean; It's a real scrapper!" "It's a good swap, yes it is!" Can't feed that motor with any more power, it's already stuffed. I bet tuning it was fun! How many bags of treats and steaks did you have go to through? Watch out for falling objects..
Look out! That engine will lick your car's engine! Speaking of the Coyote. It looks like GM took the opportunity to one-up the Mustang GT with the new 2016 Camaro SS. Comparo test in the latest Car and Driver. It was almost a tie when all the pluses and minuses are added up. The Camaro wins the acceleration contest by a considerable margin, which it should, with a 25% larger engine, an 8 speed auto, 20 more hp and 55 more lb/ft of torque...plus it's about 60 pounds lighter this time around. 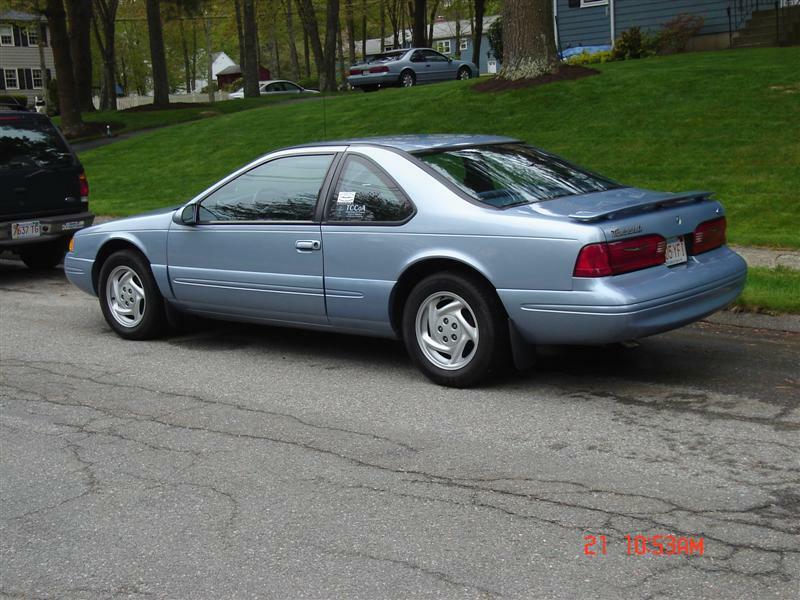 But the Mustang did well in the rest of the categories, and in styling points, particularly the interior. You'd think that after 6 years, GM would know how to fix the worst part of the 2010 new-gen car, and it IS better - but it's still not right. And when you buy one of these, inside it is where you live. Both got great reviews for handling. Last edited by Trunk Monkey; 11-02-2015 at 07:14 AM. I do like that it's a double overHEAD cam. What you guys think I'm joking? This is happening! Congratulations you ... [email protected]#$%^&**&^&*()_)(*&^%$#@!!! and I mean that in the kindest way possible. 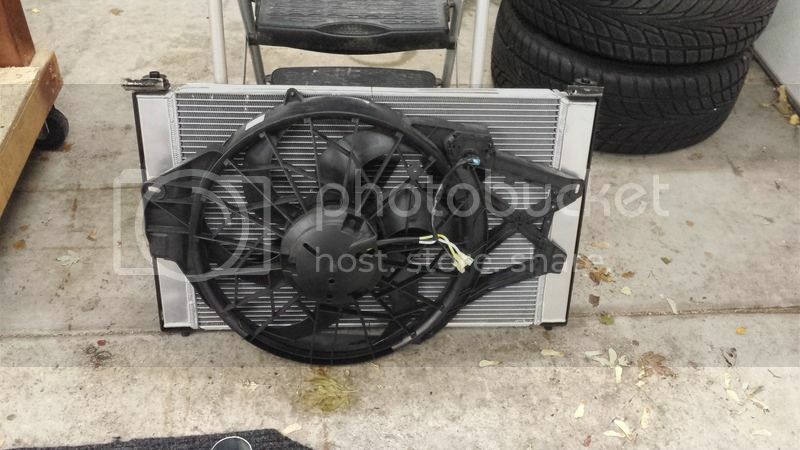 This going into the Tbird or the AC Cobra? You still gonna do the Cobra project? I'm sure it's going in his Bird. Pfft aren't you one of the conspirators who inflated the value of SVO superchargers 300% and are deep in the 11s with it ? No jealousy for you, you [email protected]#$%^&**&^&*()_)(*&^%$#@!!! Seriously though I'm happy for Josh. It's his turn to stir the jealousy pot. Going in the Tbird, the FF Cobra was canceled. I couldn't afford the whole project. Maybe in a couple years. 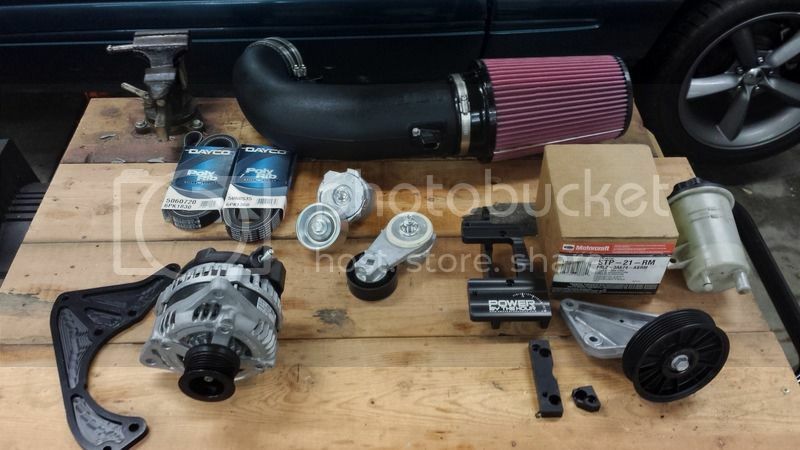 I sold the Tork Tech SC kit and Supercharger on Ebay. That was enough to barely pay for the Coyote. Starting the winter project in a month or so. Thanks guys! 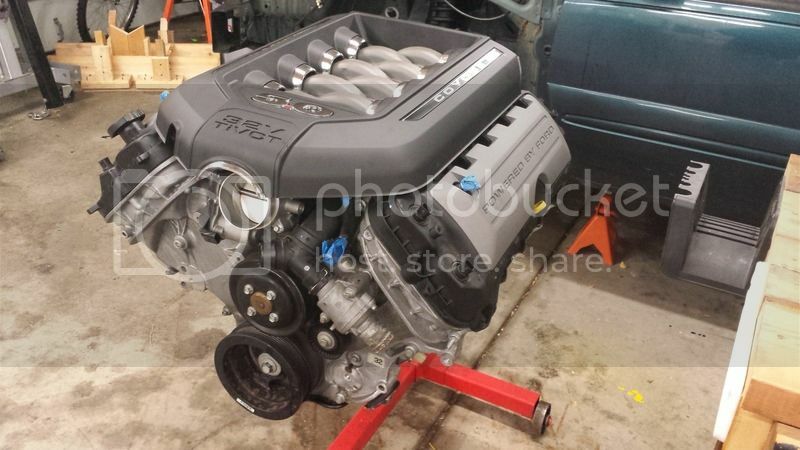 Can't wait for pics of that bad boy in the engine bay !! Good Luck ! That was enough to barely pay for the Coyote. Congrats ! 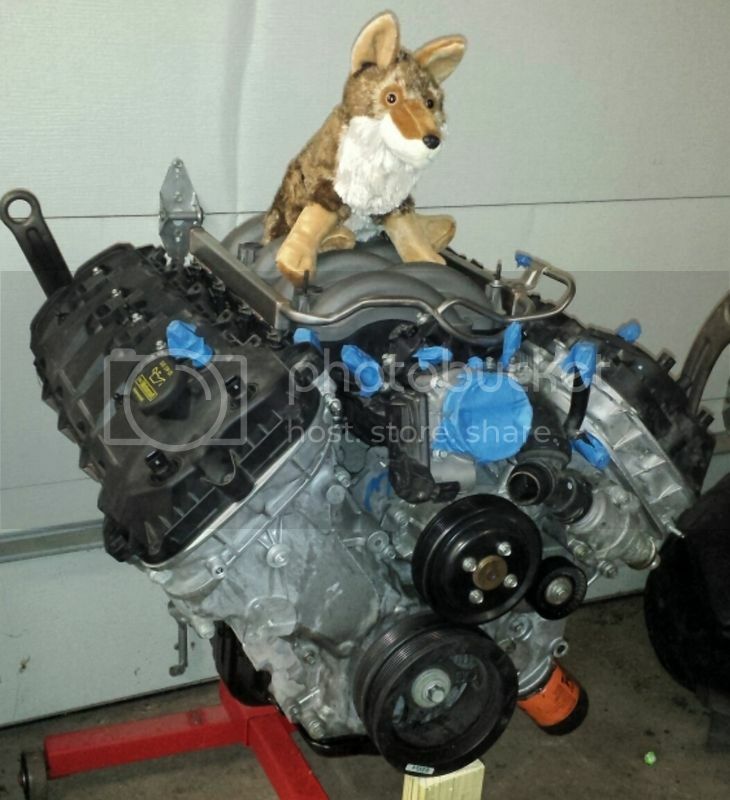 Everybody needs a Coyote LOL. Thank you I'm excited as well, can't wait to start in about a month. Just started a new job so I won't be around here much for the next few weeks. 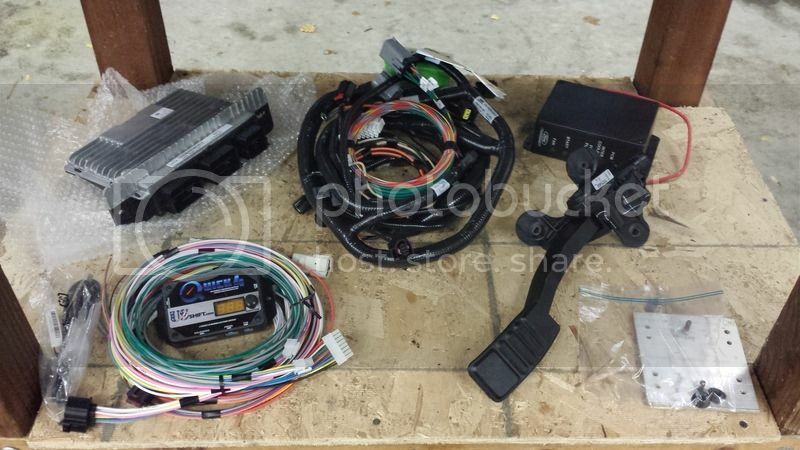 From what I posted on FB here is the basic plan: 2013 Mustang Coyote with 26K with Ford Racing controller pack, JLT CAI. I ready have a built-up 4r70w with a circle D TC. U shift Trans controller kit. Alternator and power steering bracket kits. Keeping the IRS with 4.10 gears. The hard part is switching the Coyote flange on a pair of MN12 kooks headers. Brand new AJE tubular k member with the coyote mounts. Dyno tune sometime next year. Last edited by OxmanWI; 01-22-2016 at 09:10 PM. I remember your 4.6 build took you some time to accomplish. 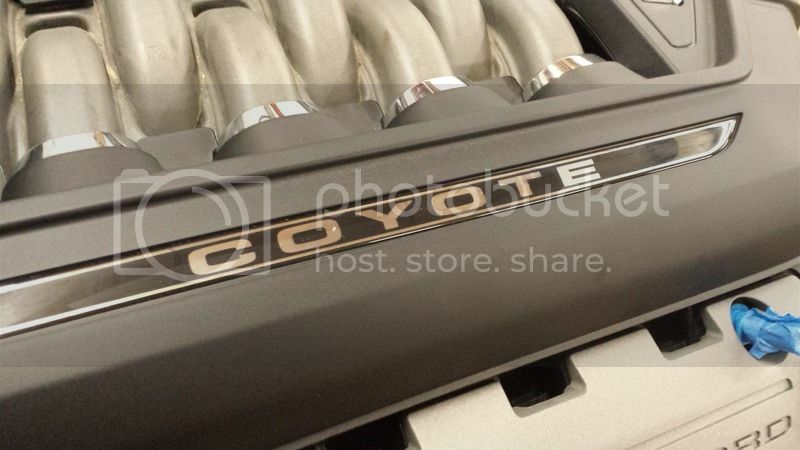 Do you think that this Coyote build is going to take as long? 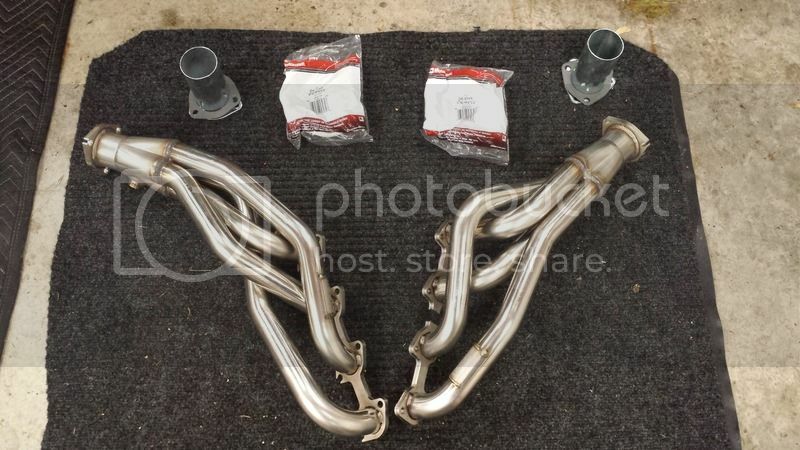 It seems that aside from the wiring harness, flange / headers, and finding the AJE tubular K member, it will drop right in. What are the differences between the Coyote mounts and the modular mounts? I thought they would be the same. This will be done before spring. I hope it's that easy to drop in. I'll have to be careful cutting into a brand new pair of Kooks headers to swap out the flanges. Easier said than done. There are no Coyote mounts, I should have said AJE universal plate. 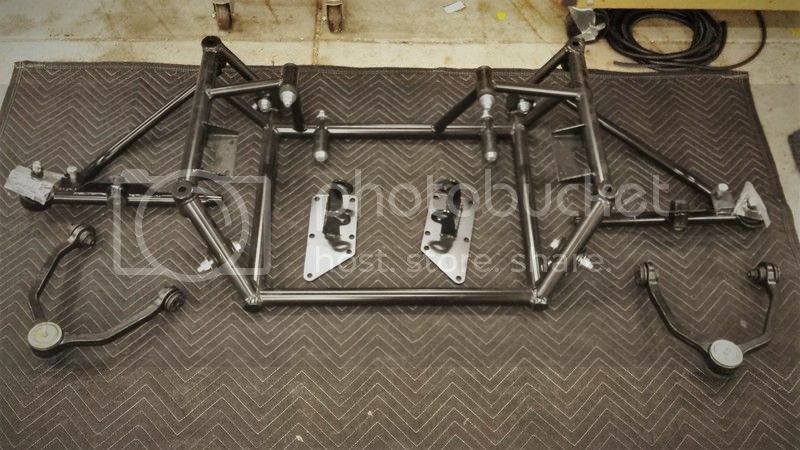 It's a plate that bolts up to the K member that will work with the 4.6 modular and 5.0 coyote. I just learned they are made for both. Last edited by OxmanWI; 11-12-2015 at 05:46 AM. Wow Josh. I'm so excited for you. Merry Friggin' Coyote Christmas indeed! Thanks Ron, speaking of Christmas we sent out our Christmas cards today. We always send them out late because of our work schedules. Merry Christmas and happy new year! Last edited by OxmanWI; 12-23-2015 at 09:19 PM. This looks like it's going to be an awesome build! I'll be keeping an eye on this one for sure! Looks like someone will be busy this winter!